In April 2018 a study entitled Control and simplification of procedures within ESIF, requested by the REGI Committee European Parliament, was published. to develope insights for the development of control and audit arrangements that enhance the pursuit of simplification and improve ESIF performance in the post 2020 period. The problem of the existing management and implementation system is the cost efficiency so a substantial simplification has yet to be realised. Regarding to the Critical analysis of control and audit provisions this task included EU-level interviews at DG Regional and Urban Policy and DG Employment Directorates for Audit, the DG Regio Unit for Operational Efficiency, and the DG Regio Unit for Coordination, Relations with ECA and OLAF (the European Anti–Fraud Office). Interviews were also carried out with ECA representatives. Case studies of efforts to reconcile the requirements of sound financial control and audit and simplification in individual OPs provided a central component of the methodology. 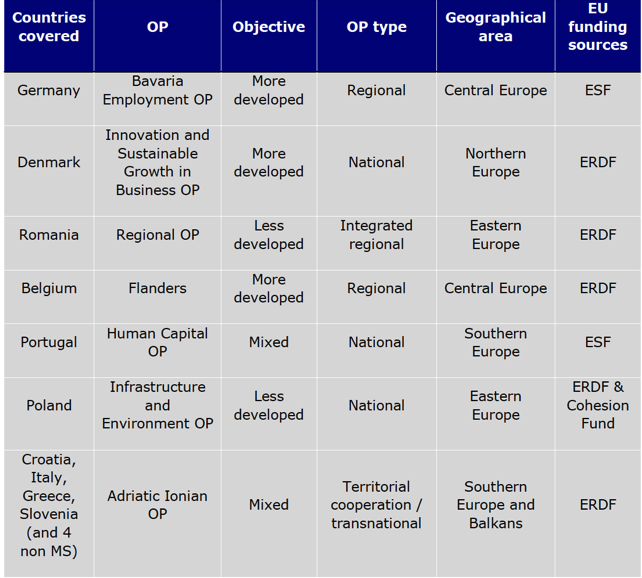 Seven programme case studies were selected and are listed in the following table. As final result, the research highlights a number of general principles and recommendations for the future in order to reduce complexity, while continuing to drive errors and irregularities down. Harmonisation. Genuine simplification must begin with greater harmonisation of rules across Commission services, funds and instruments. Stability. More stability from one programme period to the next and better predictability for programme authorities and beneficiaries would simplify implementation. Brevity. There should be single texts, made available to programme authorities in a timely manner, rather than a proliferation of rules and interpretations. Flexibility and differentiation. Complexity affects all MS, but it has distinctive dimensions in different MS and OP contexts. Especially where the scale of ESIF is small, complexity can create disproportionate administrative workloads and lead potential beneficiaries to pursue alternative funding opportunities. Performance auditing. The spread of performance audits and their use in making financial decisions should be further pursued at EU and MS levels. The designation procedure should be reconsidered, targeting systems that are or have recently been in flux for full designation process but applying lighter approaches for established, stable systems. Annual reporting should be further streamlined. Simplification should include the timely publication of Commission guidelines, so that IT systems can be planned to collect the right data from the start. 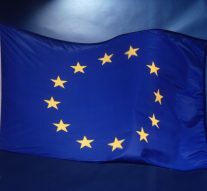 Dedicated rules and support should be established for the control and audit arrangements of specific types of programmes and operations, notably European Territorial Cooperation programmes and Financial Instruments. Are flat-rate tariffs for legal assistance conform to EU law? How do Member State comply with EU law of Single Market?